Welcome to the St. 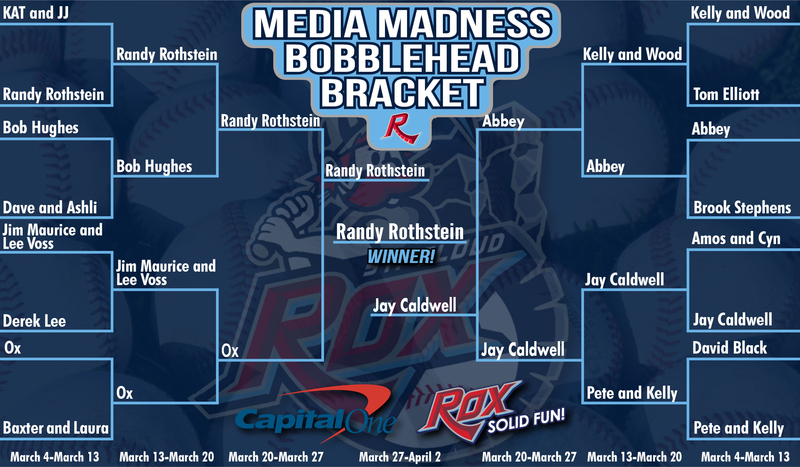 Cloud Rox 2019 CapitalOne Media Madness Bobblehead Bracket! Spanning from the beginning of March and ending in early April, along with March Madness going on, there was another bracket unfolding involving some media personalities throughout Central Minnesota! 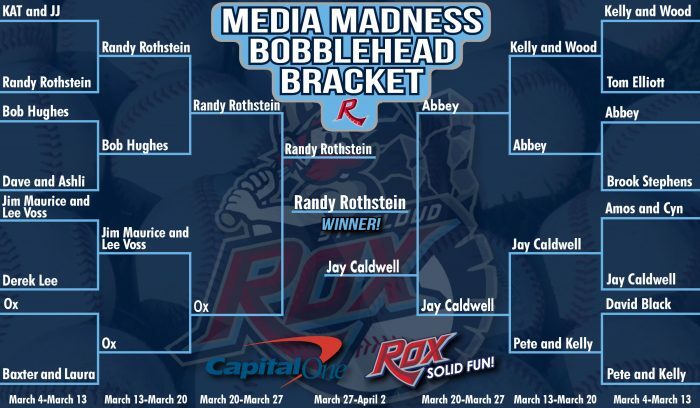 In the CapitalOne Media Madness Bobblehead Bracket, fans had the opportunity to vote on which on-air or media personality you want to see have their very own bobblehead that will be given away to 400 fans at the August 8 Rox game this summer! The person that was ultimately voted on as the winner in 2019 was Randy Rothstein from 1150 AM KASM. 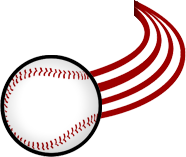 Along with updates being provided on every round of the bracket, both here and on Rox social media platforms, fans were able to vote once every 24 hours for which personality they wanted to see continue to advance until an ultimate winner was chosen.